Gov. 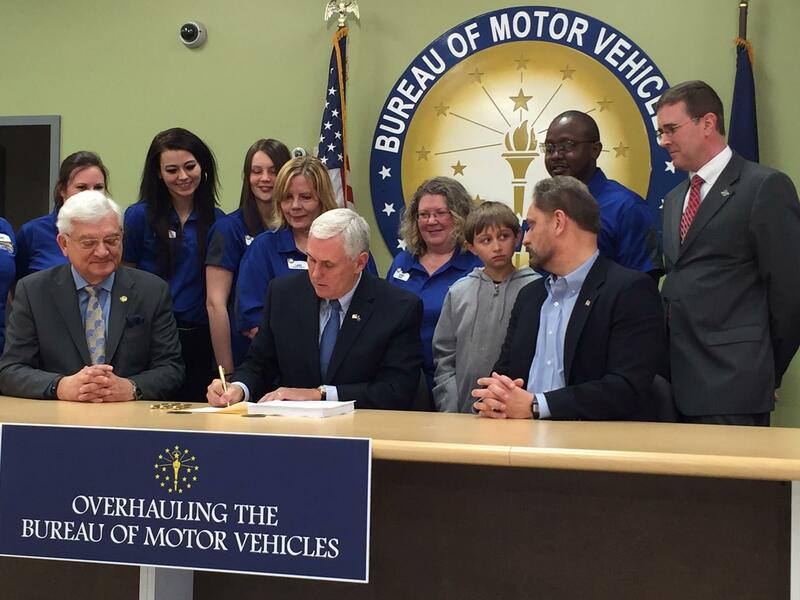 Pence signed the BMV bill into law at a license branch in Greenwood, surrounded by BMV employees. Seated to the governor's right is Rep. Ed Soliday (R-Valparaiso), the bill's author. Seated to Pence's left is BMV Commissioner Kent Abernathy. Registration fees at the Bureau of Motor Vehicles will decrease for more than two million Hoosiers next year as a result of legislation Gov. Mike Pence signed into law Thursday. Pence says his administration has been working for years to correct errors and problems at the BMV. Those issues have generated lawsuit settlements and overcharge repayments that exceed $100 million. Pence says a huge step forward in solving those problems is legislation that streamlines the agency’s fee and registration system. Eight fees will increase – seven affecting for-hire buses and one for commercial semi-trailers. Those changes take effect January 1. 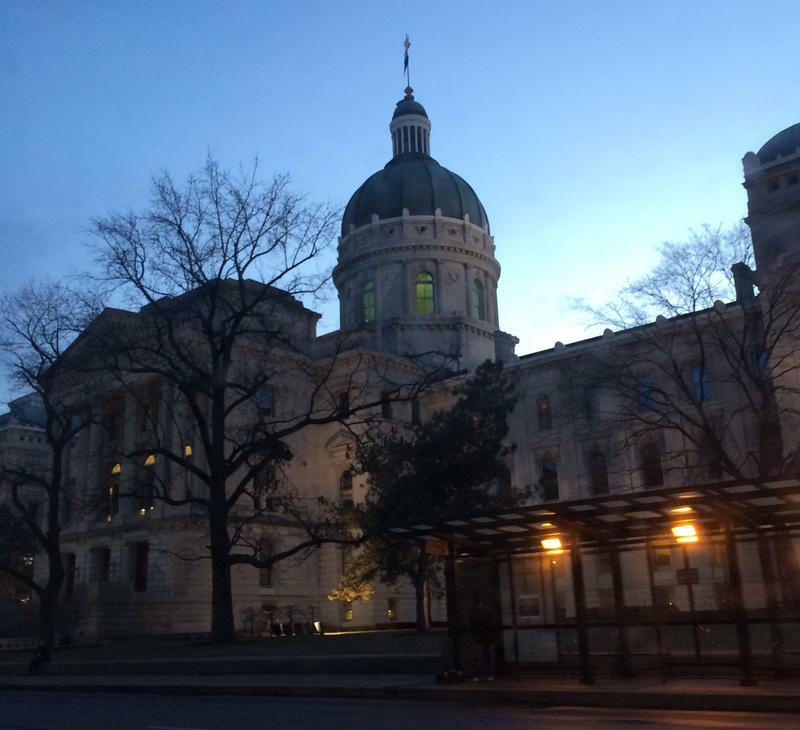 While an overwhelming, bipartisan majority of lawmakers approved the measure, one of its architects, Rep. Dan Forestal (D-Indianapolis), is now disavowing the bill. He says GOP legislators included what he calls “earmarks” into the bill at the last minute, including one that allows rental car companies to increase fees. Legislation headed to the governor will give the public and the press more access to police body camera videos than they’ve ever had. A final compromise drew unanimous support for the bill in both chambers. There was one issue remaining in the body camera bill – a provision that said, if a video potentially depicts excessive use of force or civil rights violations by police, it must automatically be released. Police didn’t like that, and so, despite the objections of press organizations, lawmakers took the provision out.